The Australian Catholic Church estimates it will be liable for $1 billion in compensation to child sexual abuse victims as part of the new national redress scheme, but this comes with a really big 'but'. The Federal Government today tabled a bill for a national redress scheme for child sexual abuse victims. Under the bill, people who were sexually abused while in Commonwealth and territory institutions will be entitled to compensation of up to $150,000. But that is only a tiny minority of the victims, as the majority suffered abuse in state government or non-government and church institutions. So an estimated 60,000 victims subjected to sexual abuse as children would not be eligible, unless the state and territory governments sign up. Unless everyone signs on, the victims would be able to apply for further compensation in state and territory courts. That means that non-government institutions, particularly the churches, would not join the scheme because they would still be open to being sued in multiple jurisdictions. Social Services Minister Christian Porter said as much in his introduction of the bill today. "Accepting the offer of redress has the effect of releasing the participating institutions from any further liability … this means the survivor … will undertake not to bring or continue any civil claim against the responsible participating institution in relation to the specific abuse," he said. He repeatedly urged the states and territories to sign on in his address. The Catholic Church was firm it would not join the redress scheme unless there was nationwide buy-in. "We've been advised that the Commonwealth has constitutional advice that unless the states opt in, unless they participate, then churches and institutions in those states can't participate," chief executive of the Catholic Church's Truth and Justice Healing Council Francis Sullivan said. "In other words it's over to the states." 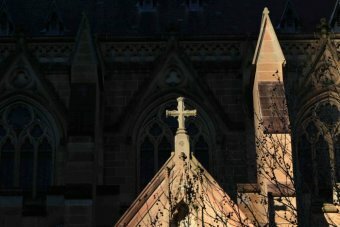 Mr Sullivan said the Australian Catholic Church has estimated it would be liable for a large bill — on top of $300 million it has already paid out to victims — if the redress scheme is embraced across the nation. "Our analysis is that the national redress scheme proposed by the royal commission over a 10-year period was going to cost in total about $4 billion, and of about $4 billion we think our exposure is $1 billion," he said. The Catholic Church has committed to joining if states and territories sign up. "The Catholic Church has stated for years now that it has wanted to participate in a national redress scheme," Mr Sullivan said. "We can't at the moment do that until each state opts in so there is a truly national scheme, so that victims, no matter where they live and where they were abused, have access to redress. 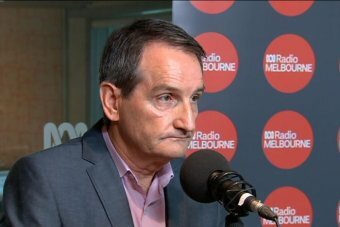 "It's time for the Prime Minister to get on the phone to every premier so we can have national political leadership giving a national redress scheme so the national Catholic Church can participate." Mr Porter said this morning he was "very confident" the states and territories would opt in. "What we are doing is imploring the territories, states, churches and charities to opt in. When they opt in to the scheme, all those survivors will be covered." Injustice in the City of God: How Could the Catholic Church Justify Child Sexual Abuse? Have you ever copped criticism from a stranger or received some unsolicited "advice" about the way you are raising your child? You're not alone. The Employment Minister is in Labor's crosshairs. We've gone back to the beginning to show you how we got here and why it's significant. Still undecided on whether to post your survey? Two young Australians who have already sent theirs — one who wishes she could — argue why it's important to have your say. As any pub crawler will know, the Royal is the most common name for hotels, but why are there so many?